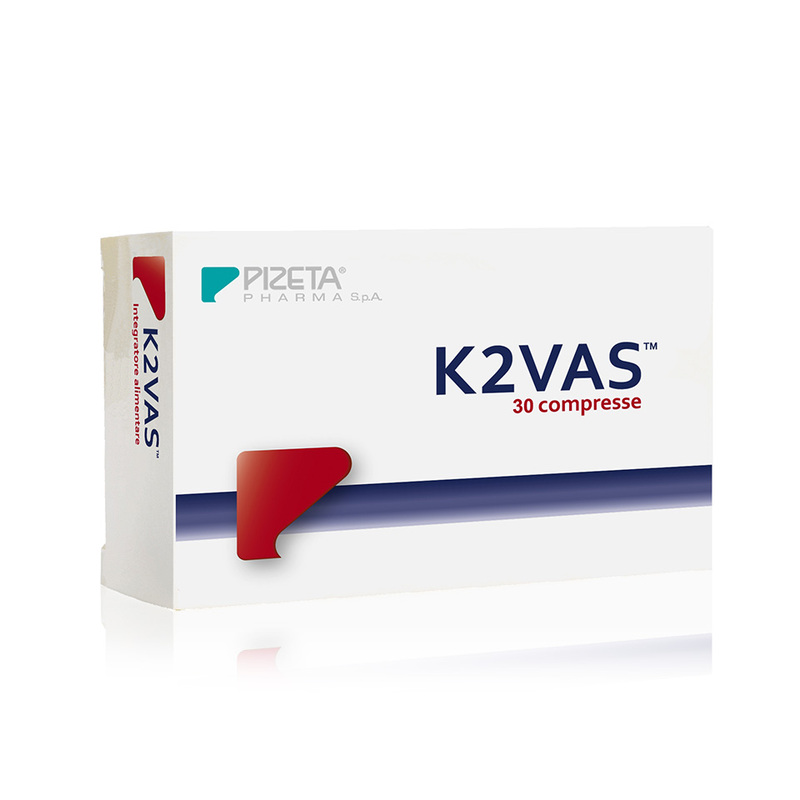 K2VAS® is a food supplement useful in promoting normal blood coagulation and the regular function of the vascular system. 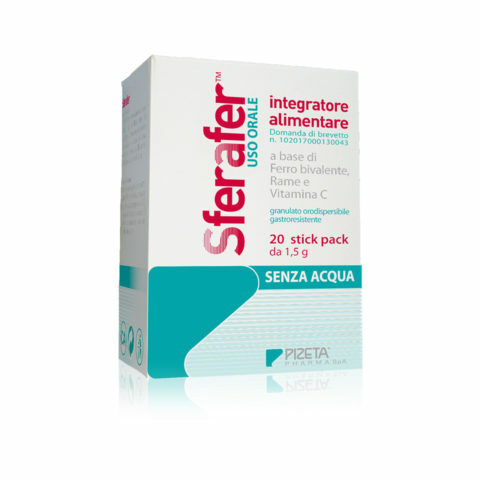 Food supplement with Vitamin K2 (MenaQ7®), Vitamin D3 and grape seeds (Leucoselect®, Phytosome®). 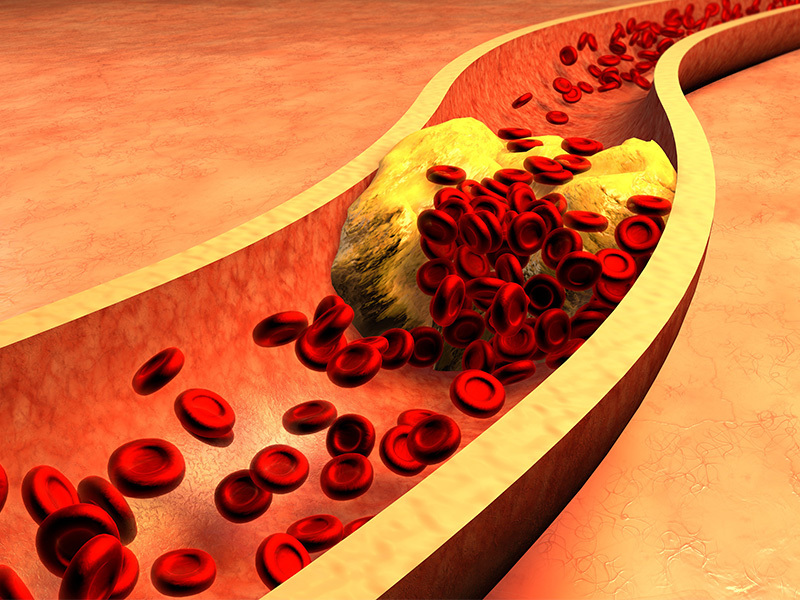 Accumulation of cholesterol (LDL) and triglycerides on the wall of blood vessels (when these are in excess). 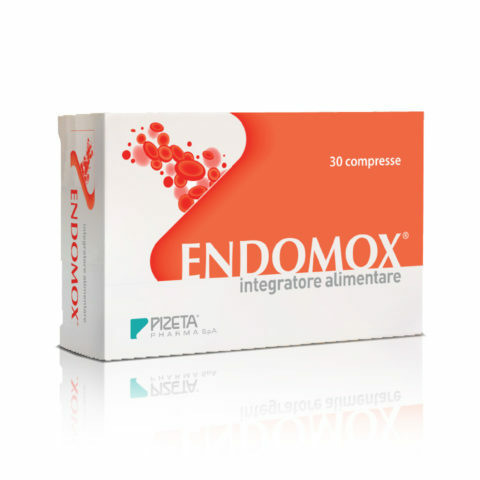 Increased permeability of the vascular endothelium, also due to oxidative phenomena. Penetration of cholesterol below the internal surface of the artery and subsequent oxidation of LDL. Activation of the immune system with accumulation of T lymphocytes and monocytes below the vessel wall. Phagocytosis of oxidized LDL by macrophages with activation of an inflammatory state. Proliferation of smooth muscle fibrocellulas with formation of a fibrous capsule covering the adipose accumulation. Once formed, atherosclerotic plaque can break, leading to the formation of a blood clot called a thrombus. 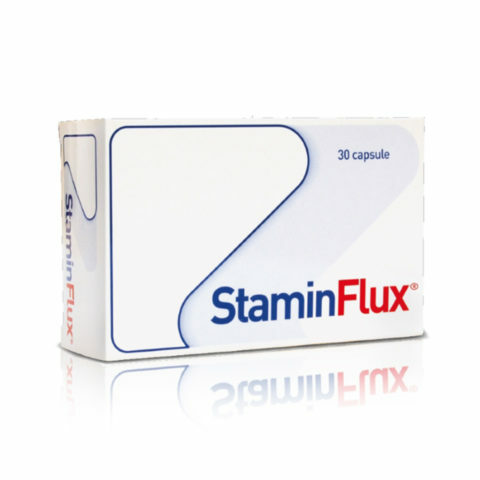 This can obstruct the normal blood flow in the arteries leading to serious consequences such as heart attack, stroke and occlusion of the arteries of the limbs. VITAMIN K2 is a fat-soluble vitamin essential for the correct use of calcium by the body that allows maintaining healthy bones, arteries and tissues. It is essential in vascular protection processes, as it is able to activate the Matrix Gla Protein (MGP), a protein present in the vessels that prevents calcium floating in the blood (especially if in excess) from settling in the form of crystals in the artery wall and to form or enhance, together with cholesterol, atherosclerotic plaques. 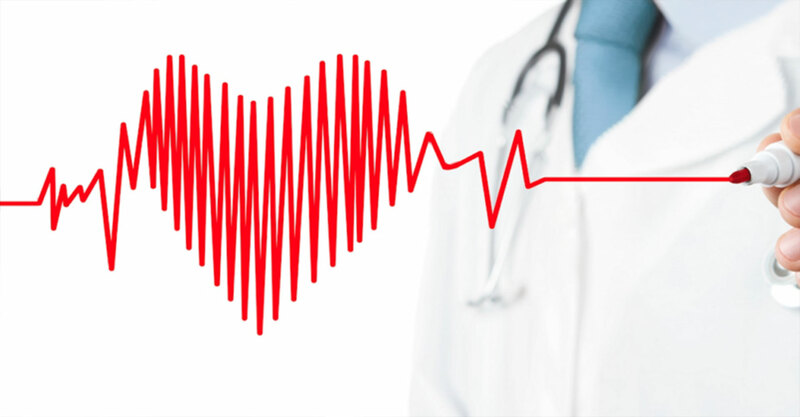 The MENAQ7® formula, present in K2VAS, contains vitamin K2 in the form of natural menachinone 7 obtained from the natto and has proven its effectiveness already at very low doses. The proanthocyanidolic oligomers (known with the initials OPC) belong to the vast family of bioflavonoids, natural substances with high antioxidant properties at the base of the natural vasoprotective action. 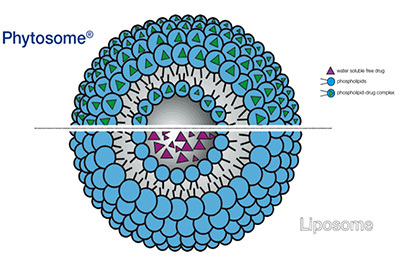 Leucoselect® Phytosome® contains low molecular weight OPCs complexed with soy phospholipids, in order to increase the absorption and bioavailability of the OPCs. 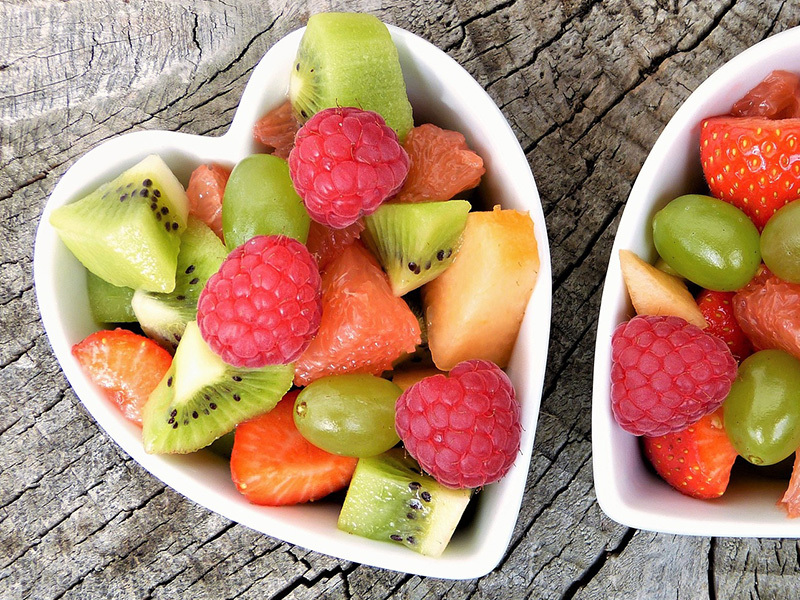 A few simple habits, which can make the difference against atherosclerosis.